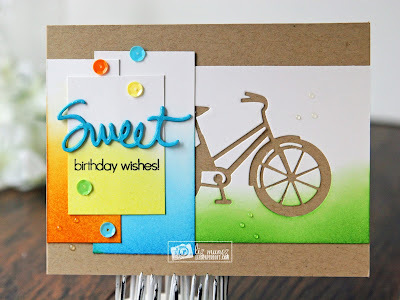 Liz's Paper Loft: MCT Inspire Me Wednesday ~ sweet wishes! Good morning, today is Inspire Me Wednesday over at My Creative Time. So what does that mean? It means we are to create something that was inspired by anything. My project was inspired simply by springtime...yep just that simple! I used the negative of the bicycle I cut for a different project. Then I cut the different size rectangles and did a little bit of ink blending. For the "sweet" I die cut several of them and glued together, then covered in glossy accents. A few glossy accents and sequins and it was complete. OMG Miss Liz...What a Gorgeous and Sweet card. I love how you did your bicycle gosh this makes for a super cool look and loving all the layers for your collage base as it definitely showcases your sentiment in a perfect way. Your watercolor grass turned out so pretty. You so came up with lots of different and brilliant ideas for your card and the results is Spectacular. YOU so ROCK!! Cute card! Love how you use the negative for the bike!! Liz your card is gorgeous! Love the colors and how you used the negative of the bike. So cute! Thanks for sharing! 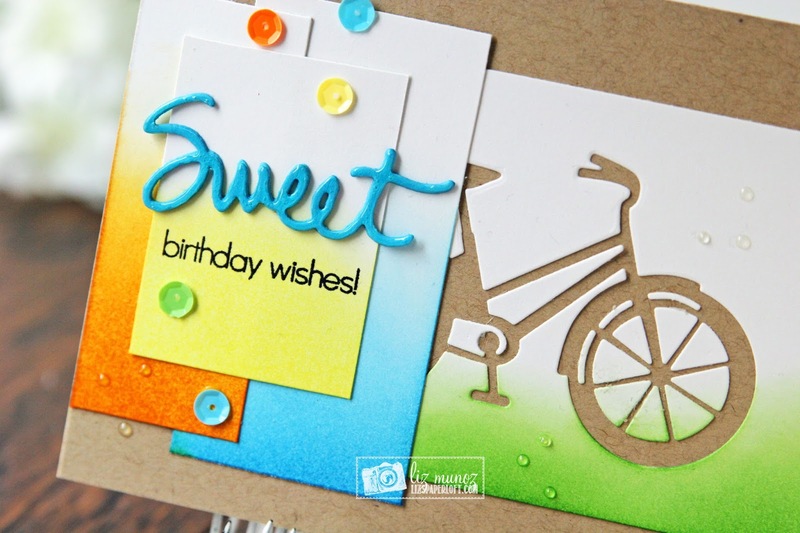 love how the bicycle looks in the negative, just caught my eye, beautiful card!!! I never would have guessed the negative of the bike would look this cool. I always like to get 2 cards from one! Adding the inked rectangles and the dimension of the "Sweet" & sequins is beautiful...Great job. Happy Spring! 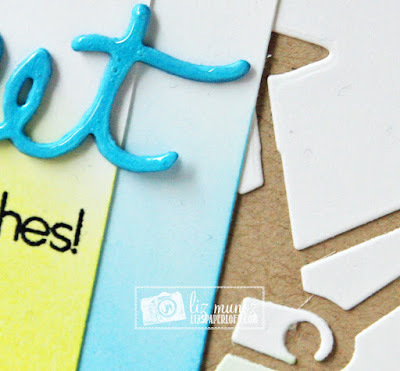 Great idea to use the negative die cut!